Microscope World ships worldwide. Standard payment for international orders is by wire transfer of funds. 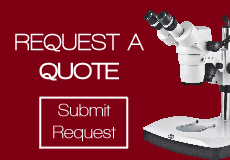 If you are interested in obtaining a quote including freight costs please email or call us and we will be happy to provide you with this information. Depending on the size of your order we ship either door-to-door or door-to-airport using a freight forwarder or Fed Ex. Microscope World can ship on your UPS, Fed Ex or DHL account as well.